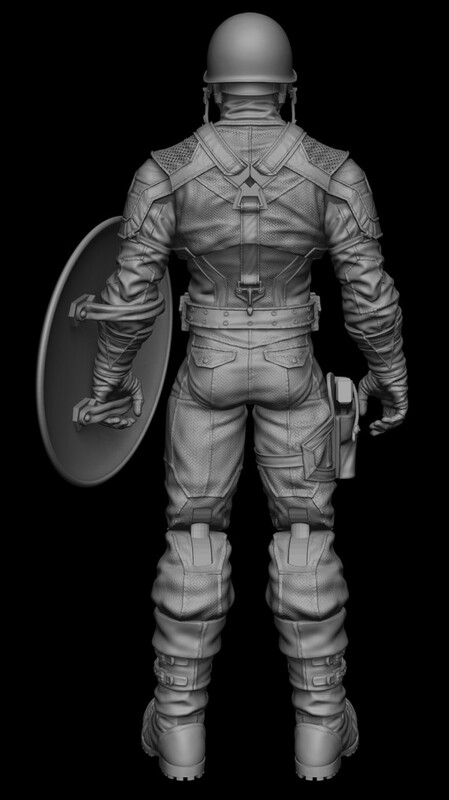 Toyark boards member UltraMagnus2008 has posted digital scans of the upcoming Movie Captain America figure from the 2011 Captain America line! 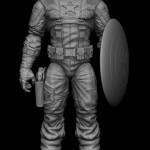 We showed you the 1st Captain America Movie Toy Images back in July during San Diego Comic Con 2010. Read on to see the digital scans of this upcoming figure! Discuss on the Toyark Forums› Views: 10575 › Credit: UltraMagnus2008 of the Toyark Forums! These look really impressive. What's the scale on this? Seems too detailed to be 3 3/4. Me likey. The only thing I'd like to change is his boots and gloves to red instead of brown (just a personal nitpick for me). i agree 100%. even if it's a deeper red. I think that the brown boots and gloves keep a more realistic feel to the design, looks good. I like it. 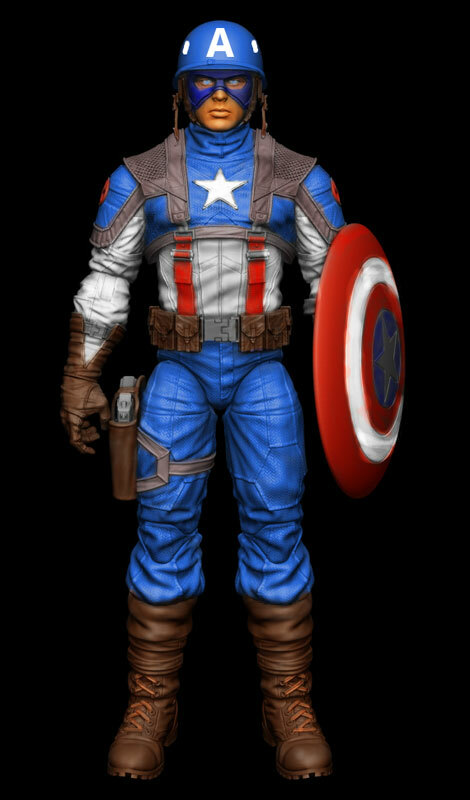 Definitely gives me the impression of a costume designed during WWII, yet still evokes Cap's image. that figure looks SICK !!!!!! put me down for one.. can't wait to see this movie. heres hoping we get some soog 6" stuff out of this, my Cap secion is alittle bare. I've been dreading the way this flick is going, no word or little hints here and there but at long last MTV & EW have released pictures of what Cap. 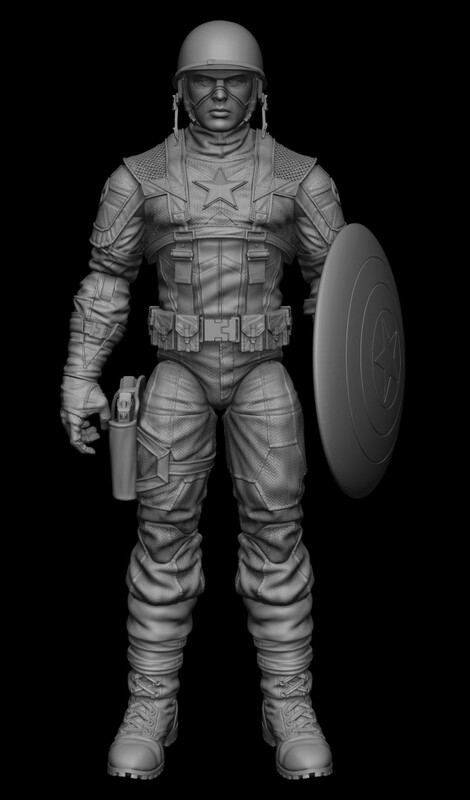 will look like as well as other movie pics, like the Red Skull!!! As I read the article the movie seems to be as close to the books as possible with one exception, the Cosmic Cube is now called the Tesseract oh and apparently NY is getting blown up.....again. As far as the figure goes, I agree with deceptifocus, It would be "nice" to have a 6" movie figure from the film just like IM, and I also hope to see the same for the THOR movie. It would be very weird and not "sportsmanship" to only have a IM 6" movie figure and not the rest. These scan look really nice and I do too agree the brown does give it a WWII look and a more authentic look to Cap. If you look through the pics you'll see that it would look very ODD to have Cap running around in spandex with bright red boots and gloves!! !